I mentioned last week that my previous fitness tracker (a misfit shine 2) died last week. I really liked until it began randomly unsynching itself from my phone. Having it synced was the number one thing I used it for - text/call notifications and telling time. So it going unsynced was more than annoying, it meant I was missing calls and couldn't tell what time it was. Plus, we're fixing to go to South America this summer (plans still not made, but in the works!) and I need to train/ get ready if I'm going to have any chance at going to Machu Pichu. 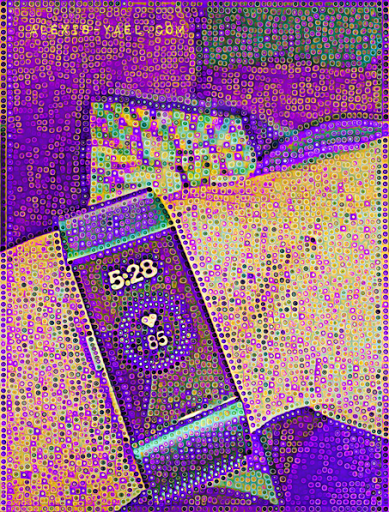 Anyway, I haven't been able to put it through its paces yet (because I came home with a cold), but I'm looking forward to using some of the more motivating aspects of the fitbit charge 2 I bought last week. I wasn't sure if I would like that it's more connected (instead of merely buzzing to tell me I have a text, the charge 2 displays who the text is from) but I was able to decide exactly how much notifications to accept (I don't want to read the text on my wrirst and I definitely don't want any other notifications than just call/text) so I feel I about it. You can't really tell here (because digital art) but I bought a new wrist band immediately (amazon prime ftw). It's a multicolored milanese loop and I heart it. I wear the fitbit on my ankle at night and the loop is just long enough. So far, the replacement is going well. The one thing the misfit had that the fitbit doesn't is waterproofness, which isn't really an issue right now, since I'm not swimming much.